The legal marijuana industry is a high-growth market, with the potential for substantial gains. 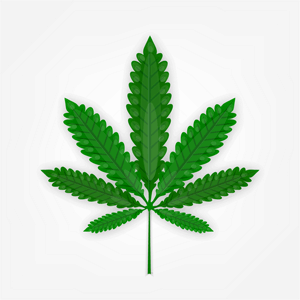 ArcView Research reports that North American sales of legal marijuana were $6.7 billion last year. And with sales expected to top $20 million by 2020, we have our eye on the best marijuana stocks to watch now. Cannabis is still illegal under federal law, and there is uncertainty about how the Trump administration wants to regulate the marijuana industry. The other reason pot stocks are a speculative investment is most pot stocks are penny stocks, and penny stocks are notoriously volatile. So these stocks aren't recommendations. Rather, these are stocks on our watch list as more states legalize cannabis. But after our watch list, we will share a profit opportunity with our subscribers. Best Marijuana Stocks to Watch Now No. 3: Growblox Sciences Inc.
Growblox Sciences Inc. (OTCMKTS: GBLX) researches and develops medical cannabis treatments and drugs. The company creates medical-grade marijuana, concentrated marijuana, and cannabinoid solutions through plant biology. Growblox Sciences focuses on creating solutions for patients suffering from debilitating illnesses. The company is currently working on a treatment for heart disease. Over the last 12 months, the GBLX stock price has climbed over 119.37%. Best Marijuana Stocks to Watch Now No. 2: Scotts Miracle-Gro Co. If you want to buy marijuana stocks that are traded on a major index, Scotts Miracle-Gro Co. (NYSE: SMG) is an excellent choice. Most people know Scotts Miracle-Gro for its popular lawn and garden products such as Turfbuilder, Roundup, and Miracle-Gro. Now, marijuana growers and enthusiasts can buy Scotts products for marijuana cultivation. Scotts Miracle-Gro CEO Jim Hagedorn saw the potential in growing his business through investments in the marijuana industry. In the past five years, Scotts invested $130 million in the acquisition of California's General Hydroponics. It also invested $136 million for a stake in Dutch grow lighting and hardware company called Gatvia. Scotts also signed a deal to acquire Botanicare, a plant nutrients and hydroponics products company. All of these acquisitions together position Scotts to become an industry leader in the marijuana cultivation business. Over the last 12 months, the SMG stock price has climbed over 42%. Scotts also pays shareholders a dividend of $0.50, which is a yield of 2.14%. Best Marijuana Stocks to Watch Now No. 1: GW Pharmaceuticals Plc.